In the 8 weeks leading up till Christmas, I'm teaming up with Oh My! Handmade to create a series of gift guides featuring artists, makers and small businesses as both the gifts and the gift pickers. 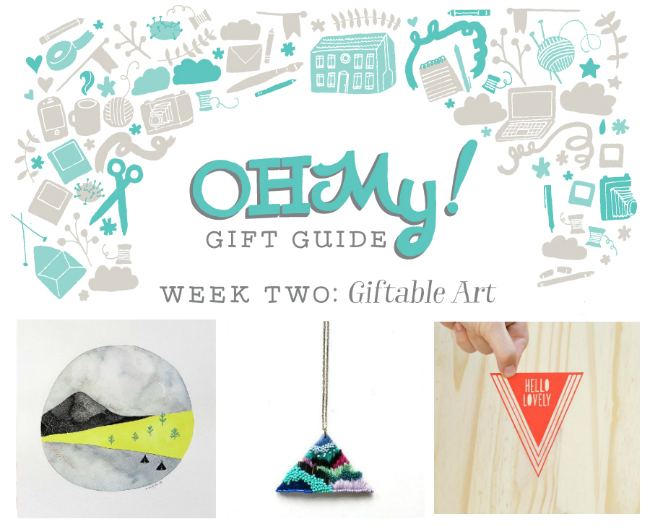 Week two is all about giving the gift of art. Join us over on OMHG for our favourite gift picks and why we love them then pop over to Pinterest for more giftable art ideas! !